It gives us a good idea of what the delegate’s expectations are and can be used as a good discussion point to funnel the interest of everyone. 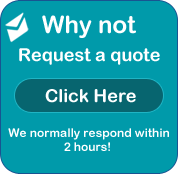 For the paediatric first aid and the one day emergency first aid training courses we deliver, the majority of the delegates attending are parents. Not surprisingly the top answer is ‘I need to know what to do if my child is choking’. It is a common fear for most parents and if faced with their child choking it can be a daunting experience. Although in most cases the condition will last seconds, but for the parent it may seem like eternity. If the object is firmly lodged in the airway the child/infant can turn blue due to the airways being blocked. This in turn will set the fear into the parent or childminder. For those parents who have completed paediatric first aid training for Infants and babies, dealing with choking can be a simple process and is a matter of common sense. 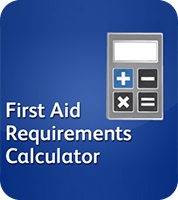 For parents who have not completed paediatric first aid training it may leave them with an emotional experience which they never want to re-visit ever again. The very first plan of action would be to remove the risk and understand what causes choking. 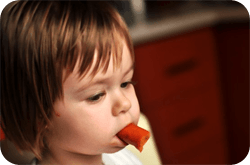 If an infant or child starts coughing all of a sudden and you know that they are not ill, it is likely that they have put something in their mouth and probably choking. Reduce the risk and remove anything from their environment that is small and in reach of your child. If the Child is coughing out loud – let nature takes it’s course, but do not leave the child unattended. If the child is struggling to cough – shout for help. Do not poke at the object with your fingers – you may push the object further down into the airway. If the child is still conscious and their coughing has no effect – use back blows (see below). Position the child’s head down and apply back blows. Put a small child across your lap. If the above can’t be carried out, position the child in a forward leaning position and apply the back blows from behind. If you find that the back blows are not removing the object and the choking child is still conscious – give chest thrusts (as below below) to infants under one year or abdominal thrusts (as below) to children over one year. Support the child in a head downwards position. Gravity can help dislodge the object. Don’t compress the soft tissues under the jaw as this will make the obstruction worse. Apply five sharp back blows with the heel of your hand to the middle of the back between the shoulder blades. Support the baby on your arm, which is placed down or across your thigh as you sit or kneel. Apply five sharp chest thrusts, compressing the chest by a third. Make sure you don’t apply pressure to the lower rib cage as you do not want to cause any injury to the child. If the object is still present and your child is still conscious, continue the back blows and either chest or abdominal thrusts. Ask someone to call an ambulance – do not leave the child unattended. If a choking child is unresponsive, lay the child on a flat surface. Ask someone to call an ambulance and bring a defibrillator (AED) – do not leave the child unattended. Open the child’s mouth. If the object is visible and you can access it easily with your fingers, then remove it. When the child / baby has recovered from their ordeal. The object that caused the blockage may have caused damage to the lining of the airway. If the child / baby has difficulty swallowing or still has the cough you may need to seek further medical advice from your GP. For further information and guidance on what to do if your child is choking please visit the NHS Choices website section on how to help a choking child. 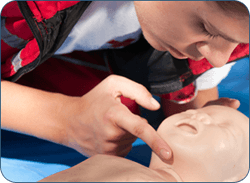 Our paediatric first aid training courses cover procedures in the event of choking of children, infants and babies. This course can be delivered ‘in house’ directly in your workplace for 6 to 12 delegates. Or, if you are an individual or only have a small number of delegates, we do offer the ‘Open Courses’ in Liverpool. For more information on our Paediatric first aid courses please email us or why not call us on 0151 515 0416 and speak to our experienced and friendly staff.